We are centrally located in beautiful East Cobb and are easily accessible from anywhere in the Atlanta area. 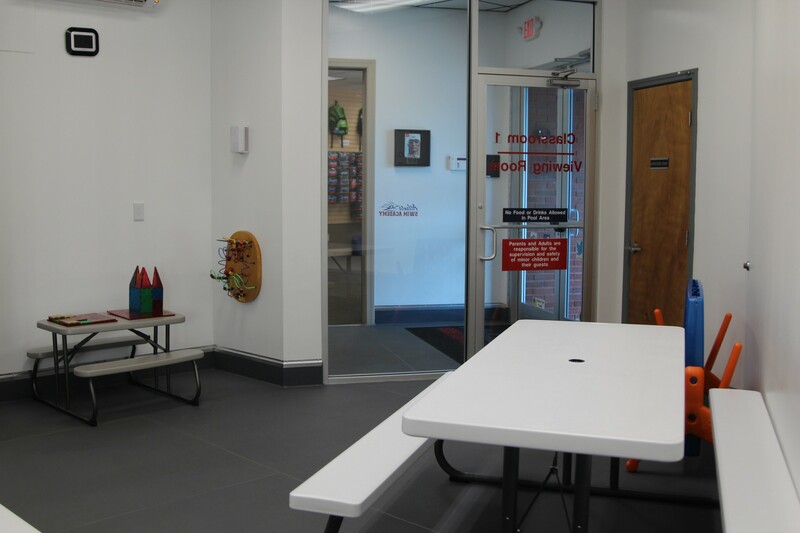 Come in person for a tour of our facility and we will answer any questions you may have. 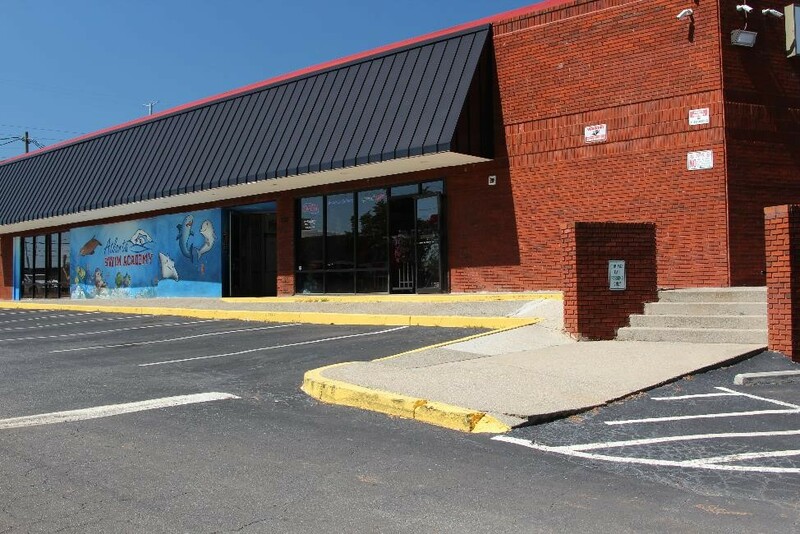 We are proud of our state-of-the-art facility and offer 13,000 square feet of aquatic adventures and fun. 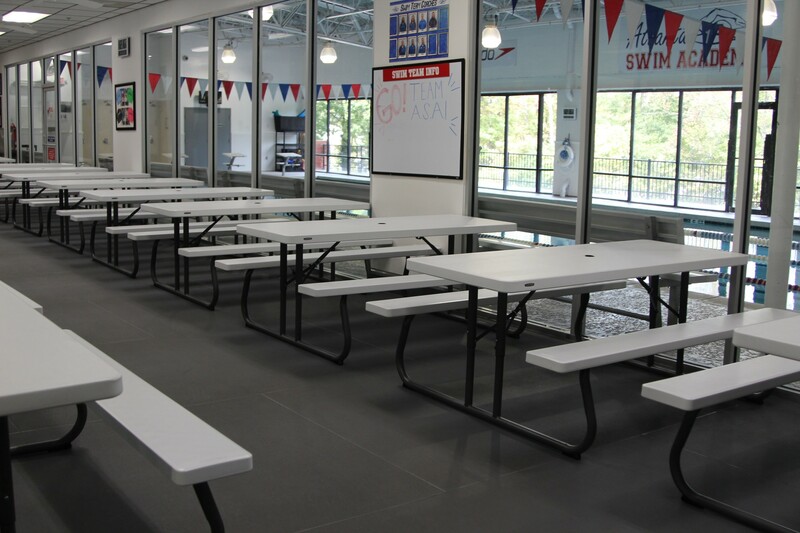 The facility is continuously maintained and kept orderly year-round. Parents enjoy the convenience and space of our climate controlled viewing room and main hall that features free WiFi. We offer 6 family changing rooms with hairdryers and changing tables. 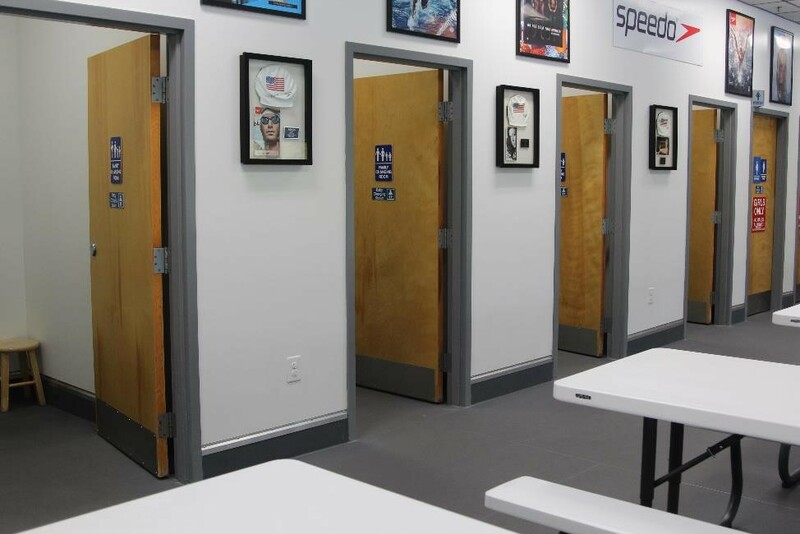 ASA also has 4 family bathrooms and a boys and girls room with stalls. 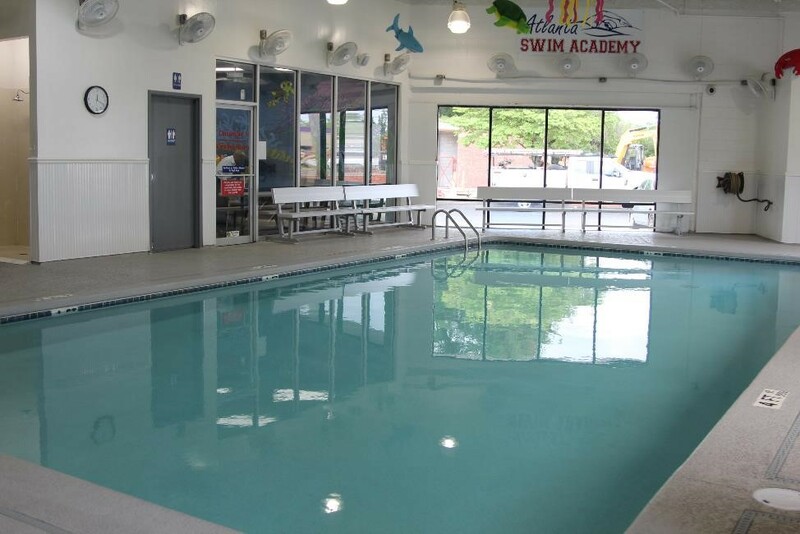 This is the perfect place to play before your lesson or stay cool in the summer while your child is swimming! There is a door that leads straight to pool one! Pool 1 is kept at a warm 90 degrees. 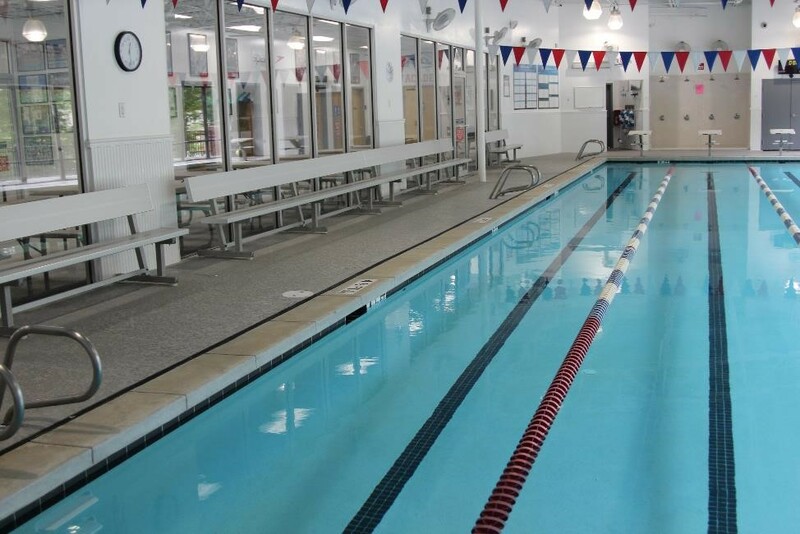 Pool 2 starts at 4 feet, and goes all of the way to 12 feet deep! This pool is also kept at 90 degrees. 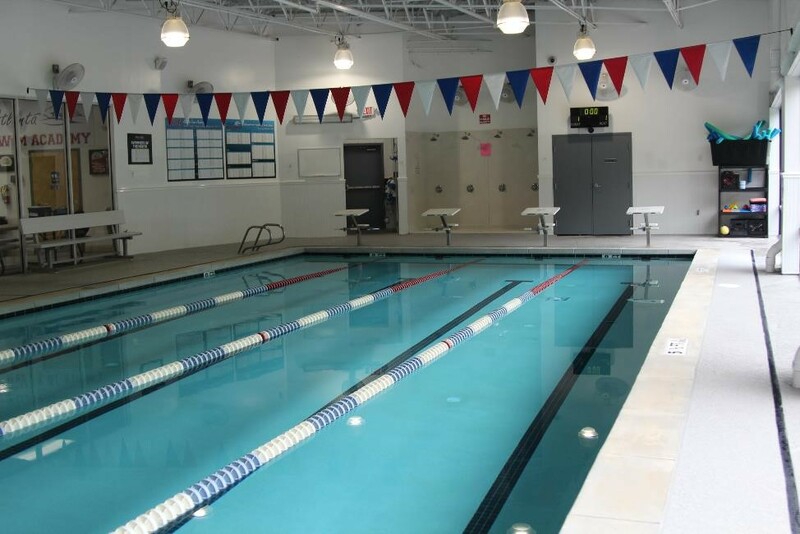 Pool 3 is our four lane junior Olympic pool kept at 84 degrees to accommodate swim team/swimFIT practices and upper level classes. 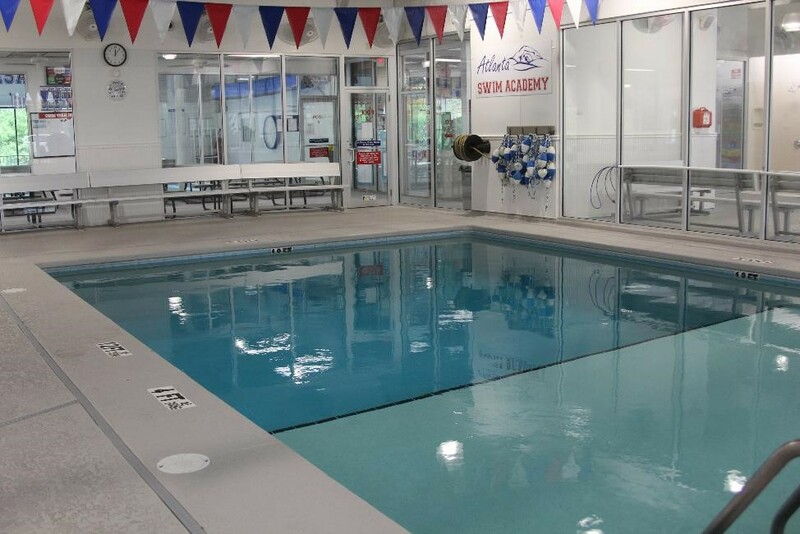 Our retail store is fully stocked year-round for your swim needs, because swimming is never out of season! Come to the front desk for any questions you may have about any of our programs!